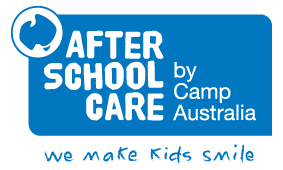 Camp Australia partners with school communities to deliver tailored after school care solutions, focused on bringing out the best in kids. We are the nation’s most trusted provider of after school care, partnering with school communities for 25 years. Well trained staff benefiting from its 25 years’ experience and Registered Training Organisation. We are proud to partner with the Australian Government Primary Principals Association as the leading voice of primary education in Australian government schools and assist AGPPA in its mission to share expertise, influence the National Education Agenda and develop the sector.